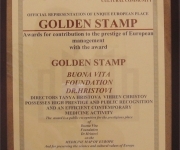 19 years nursing home "Buona Vita"
On 30.6.2011 at an official gathering in Malak gradski teatur – 1 Madrid Blvd, the board of the Council of European Scientific and Cultural Community presented Buona Vita – The Doctors Hristovi Foundation with a 'Golden Seal' for European management in medicine, as well as with the honorary badge 'Golden Book' for the prestige and social recognition gained and for the contribution to the development of the Bulgarian medicine. 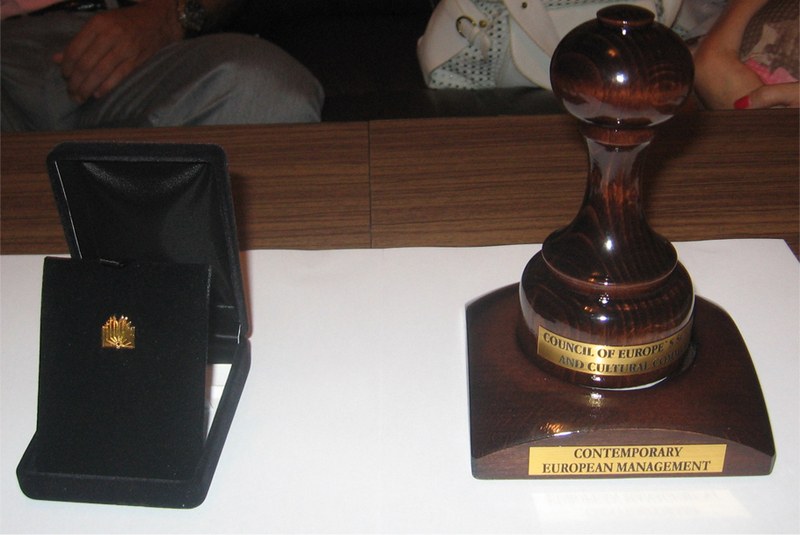 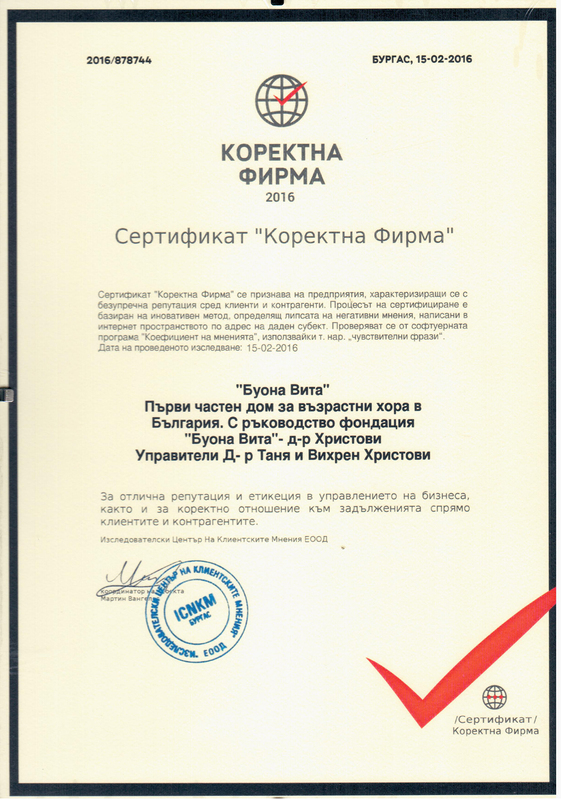 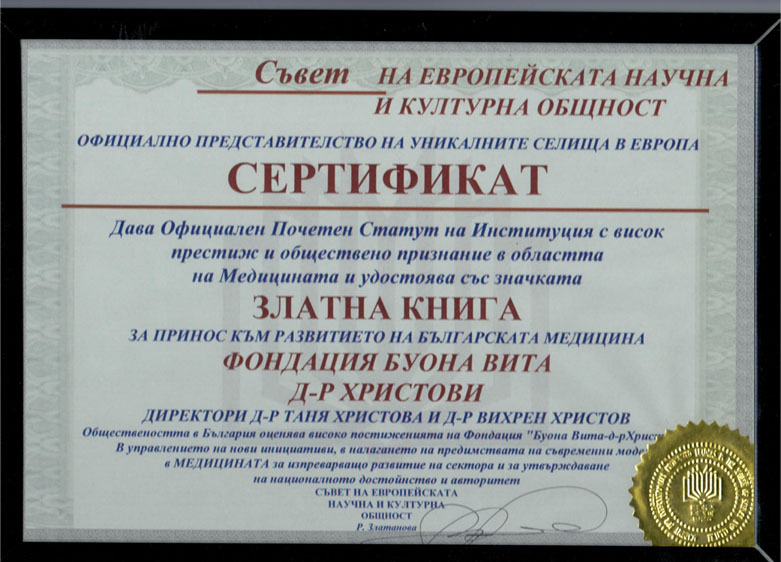 It is important to make it known that this award has been presented to a limited number of representatives of the Bulgarian scientific, cultural and business elite. 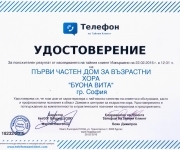 It was the first time that a medico-social home – the one managed by Drs. 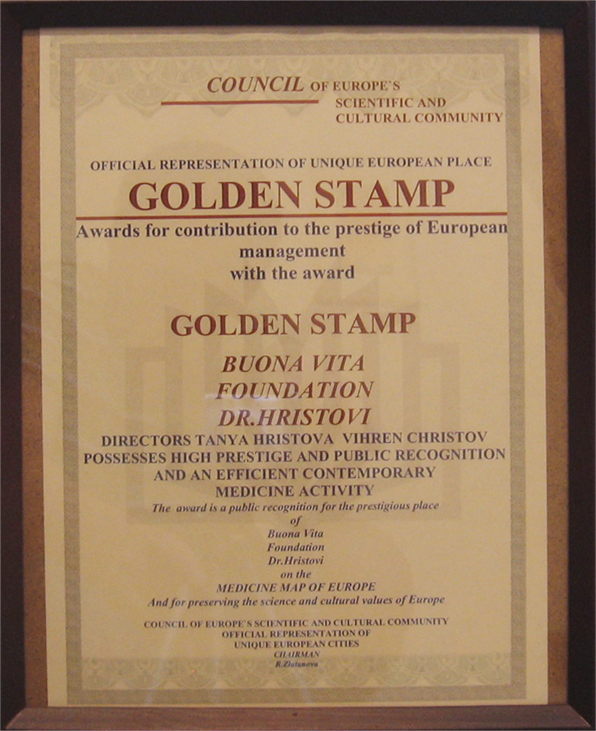 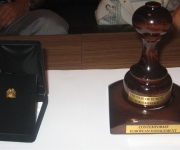 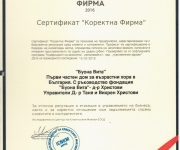 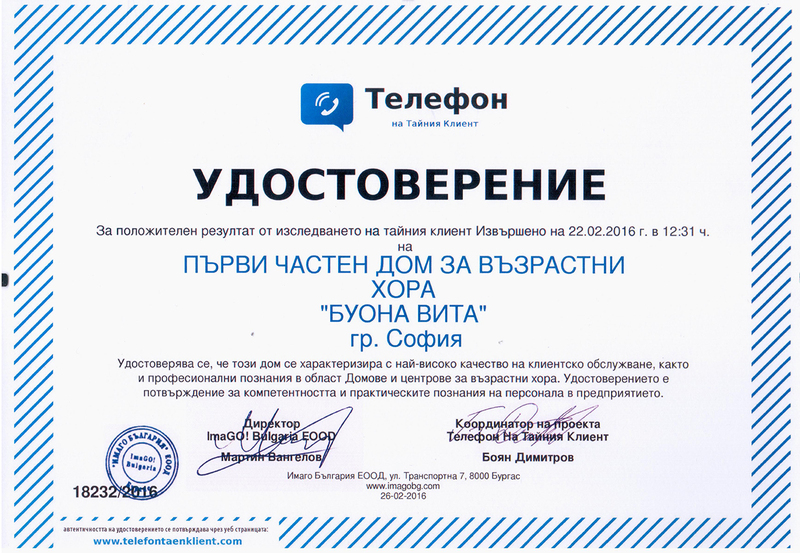 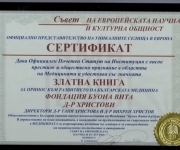 Hristovi – received such a prestigious award.